My first professionally produced ten-minute play, The Interview, gains a second life this July at the third annual Hovey Summer Shorts Festival! This time it's directed by Edmund W. Golaski and, unlike the Bridge Rep of Boston production, will be a complete surprise to me, since I likely won't be attending any of the rehearsals. Very much looking forward to seeing what they come up with! The shows run 8pm July 12th, 13th, 19th, and 20th at Hovey Players (9 Spring St., Waltham, MA). 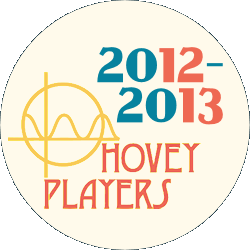 Tickets are $15, and you can reserve one by emailing reservations@hoveyplayers.com or calling 781-893-9171. July 1, 2013 by Brandon Crose.